It feels like a very very long time since I’ve blogged. This last week I’ve spent hours and hours walking around. Where, you might ask? In case you didn’t know, on Tuesday the 20th I moved to Ghent, Belgium where I will be studying in Ghent University for about four months. YES, I am just back from three months away in the US. It’s both stressful and exciting for me. So I’ve been in the country just about five days and my GOD, have I lots to tell you. It’s day five and I have to say, resuming writing this I feel incredibly homesick for some reason. It could be because I was home merely ten days before leaving again. But it will pass, it always does. I tell myself life is too short to miss a place you are so familiar with when you could be enlightening yourself by exploring places you’ve never seen before. Think about it. I think there is something so fascinating and so cool about visiting a place and it is so drastically different to anything you could have come up with your thoughts alone. Then you find yourself in utter awe at what the world around you has to offer and the capability of humans to create beauty, not destruction. If that doesn’t amaze you then I don’t know what to say to you. When you think of Belgium what do you think? I knew it was a country full of ancient buildings. I have taken so many photos in five days, I can only imagine what the rest of the country looks like. It makes my brain go into overdrive. These buildings tower over me, over all of us. How did these buildings, built centuries before I exist, come to be? I remember when I was telling people I was going to Belgium, part of me was always thinking: I’m going to Belgium. Why in the world did I pick Belgium? I don’t even speak their language? And other very silly things. Then I found myself on a plane and travelling through the country. The architecture is just stunning. The photos do not do them justice at all. I am in love with the way the city of Ghent is built on both sides of a river. I think that I should have been born in a place by the water, be it a river or a sea because I love it so much. It’s so peaceful. The Belgians should be proud of living in such a striking city. One major part of moving to a country is the fact that you will have to interact with the locals, both to survive and also to immerse yourself in their culture. I am struck everyday with Belgians’ ability to switch from Dutch to English so quickly. I have not yet met a Belgian that did not have English and that is the absolute truth. These people are so bilingual, most of these people probably speak three or four languages, I can tell you that I am extremely jealous. These people go out of their way to help you and honestly greet you with such friendly smiles. None of them sneer or look at you strangely for speaking a language that isn’t theirs. For those reasons alone I am definitely going to try pick up some useful Dutch or even Flemish, so I can attempt to communicate back. Speaking of the language of Dutch, it is something that remains largely unknown to me as of now. My friend Áine, who is one of the three girls accompanying me on Erasmus, has a level of German and that does help. Sometimes we can guess what the signs say. But as a whole it is a language of nonsense to me. This fact makes me laugh and also has me terrified. I’ll need to buy a Dutch to English dictionary fast.Transport wise, the girls and I are slowly learning. Obviously this will get easier as time goes on, but at the beginning it was horrific hahaha. Not understanding the language is a hindrance but we make do with maps. Belgium has a really good train system, the city of Ghent is full of multiple tram lines and I’ve lost count long ago how many bicycles I have seen in my five days here. I’ve learned so much about it in that time. I am trying to travel to the Netherlands, the top of it to be exact, which is proving difficult so wish me luck! I realize I have had a lot to say for someone in the country for merely five days, but I’m just getting started, believe me. We have so many plans and I am armed with various maps. I want to visit museums, art galleries, attend the film festival that is coming up soon. The nightlife here in the city is buzzing, I am more a rock, indie, electronic and folk type person so I hope I can find something that caters to myself. I do know that the Belgians like to party til nearly 6am sometimes! Belgium is quite central in terms of where it is in Europe. We have grand plans to go to Germany, to France, the Netherlands and even Prague. I have no idea if we will actually achieve this but it’s always good to have ambition. All I need is spare time and I am good to go. 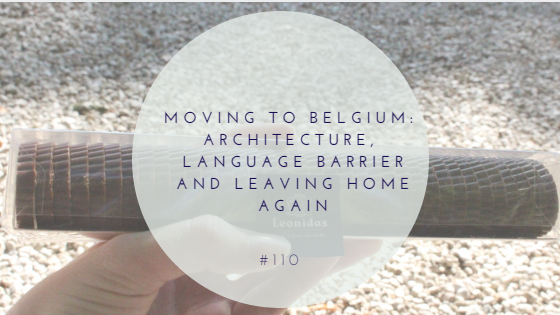 Thank you for reading about my latest adventure, I think I am only after touching the surface of Belgium and I am excited to see where it takes me next. Wish me luck! Do not be scared when you are moving. Sometimes changes may be quite useful for us. I wish you good luck. Please keep it good posting. I will be waiting with a passion for new posts from you in future.